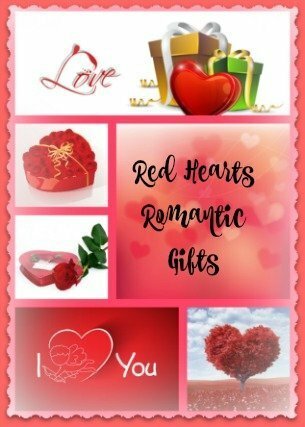 Red is the iconic color of love and red hearts romantic gifts to say I love you on Valentine’s day are always popular. Festive and fun styles as well as shapes make great Valentine’s decorations that pop up, bringing with them a joyous sentimental feel for the occasion. Floral elements, hearts of all sizes, scented candles are pretty traditional and help set the mood for romance and Valentine’s day. Let the romantic scented candles do the talking, let the blossoms of love permeate the atmosphere, let the red hearts symbolize your love and affection, let the room be warm and fuzzy decorated with sweet pink and lovely red hues. Whether red hearts, pink hearts, crystal heart or even a wooden heart, now, you’re ready for Valentine’s day and your declaration of love forever. Lasting memories are made with red heart shaped romantic gifts. 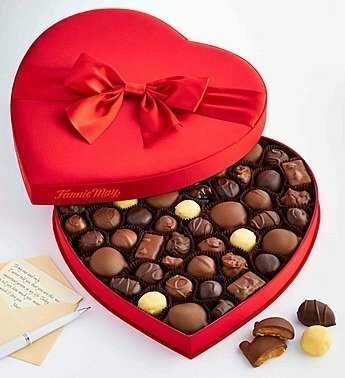 2 pounds of the finest melt-in-your-heart chocolates packed in a red heart shaped fabric box – elegant and precious love gift indeed. You get 15 different types of milk chocolates, dark chocolates, trinidads and pixies inside the red box. These are gluten free and Kosher certified. 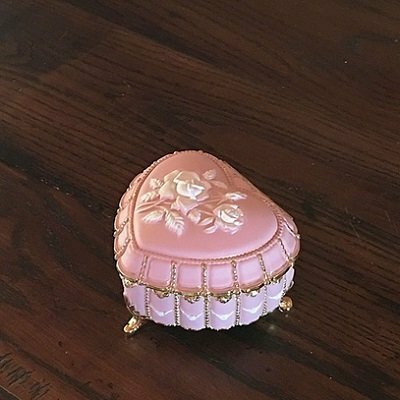 Get your special one this Fannie May Colonial Fabric Heart Box 2LB this Valentine. 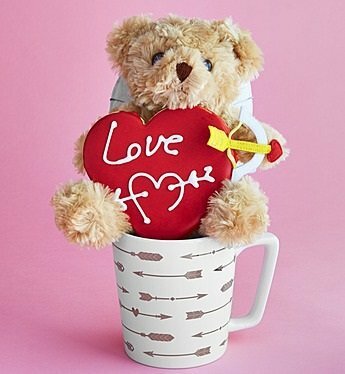 Declare your love with this cute and adorable plush Cupid bear and Cupid arrows coffee mug plus a “Love” Iced Heart Shaped Sugar Cookie. Included in this romantic gift mug set is the Stoneware Mug with Metallic Gold Arrow Design filled with Ghirardelli Double Chocolate Cocoa, Cupid bear complete with wings, bow and arrow as well as a love-ly red heart sugar cookie. 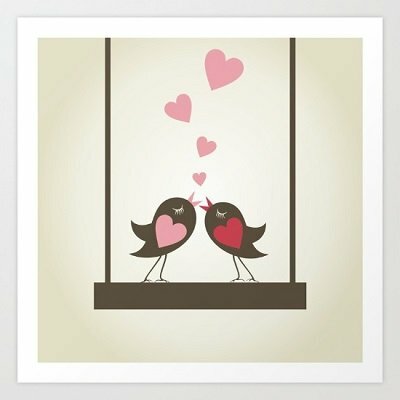 A pair of cute and adorable birds in love complete with red and pink hearts – such a sweet declaration of love! Hang this art print on the bedroom wall and be forever reminded of your great love. This is Giclée print on natural white, matte, ultra smooth, 100% cotton rag, acid and lignin free archival paper using Epson K3 archival inks. It comes with a 1 inch border for easy framing. This mouse pad comes with a durable and dust and stain resistant cloth cover. It measures 9.25″L x 7.75″W. I love you and I love your dog – a great Valentine’s day gift for dog lover. The figurine stands at a height of 3.5″. 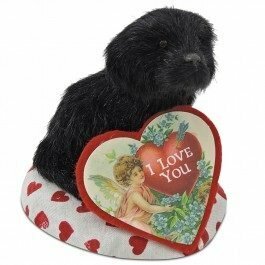 This Valentine dog would make a lovely decorative item. 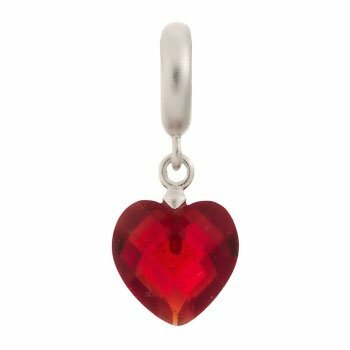 A love that is crystal clear, the red heart drop charm in Sterling silver says it all. The swan symbolizes grace, beauty and love. A clear crystal heart with the message “You are in my Heart, my Soul. 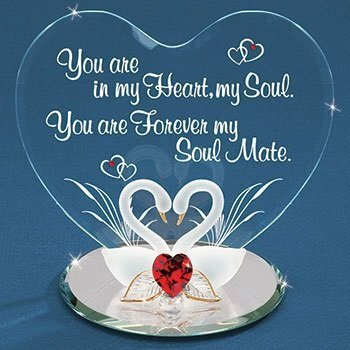 You are Forever my Soul Mate.” sums up your true love. The red heart shaped Swarovski Crystal, the 2 graceful swans with their slender necks forming a loving heart and the mirrored base all reflect the everlasting love you have for each other. Gift this swan pair figurine to the one you love this Valentine for never-ending love. This pretty music box that plays 8th Variation from Rhapsody on a Theme of Paganini, is hand made and hand painted. It stands on brass feet. It comes with a small inside compartment for storing a special piece of jewelry or that sentimental keepsake. It measures 3.25″ width and 4.25″ height. Made from English Oak and Amish American Black walnut, this hand made paper weight comes with the message ‘I ♥ You’. You can add a name or a love message on the top part but only up to maximum of 12 characters. A lovely wooden block sitting on your desk reminding you of the one who loves you – a great Valentine gift indeed. This wooden hand made paper weight block measures 2” x 4” x 8”. 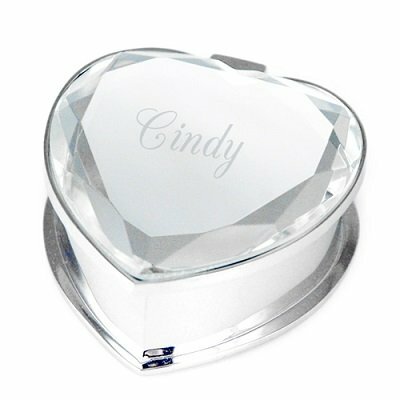 A special treasure box filled with your love, this silver crystal heart jewelry box can be personalized with the recipient’s name or a short message. The interior is lined with dark blue velvet, perfect for storing your rings, earrings and little trinkets. 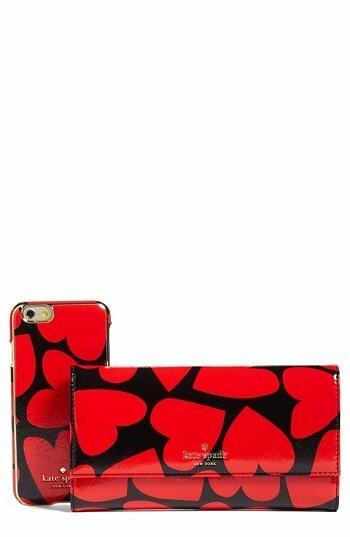 It measures 2.25″ W x 2.25″ D x 1″ H.
Red hearts scattered all over the sleek pretty wallet which comes with a matching phone case that magnetically attaches to it. You get 6 slots, an ID window, smartphone holder as well as currency pockets. This 7″W x 4″H x 1″D Kate Spade scattered hearts leather wallet has a magnetic snap-flap closure as well as an exterior zipped pocket.